It’s December, and Christmas is fast approaching. What better way to get into the holiday spirit than with the gift of music – and the best part is that this gift is free! First, “A Musical Theater Christmas” will be presented at 7:30 PM on Friday, 19 December, at the Cathedral Basilica of St. Joseph in downtown San Jose. 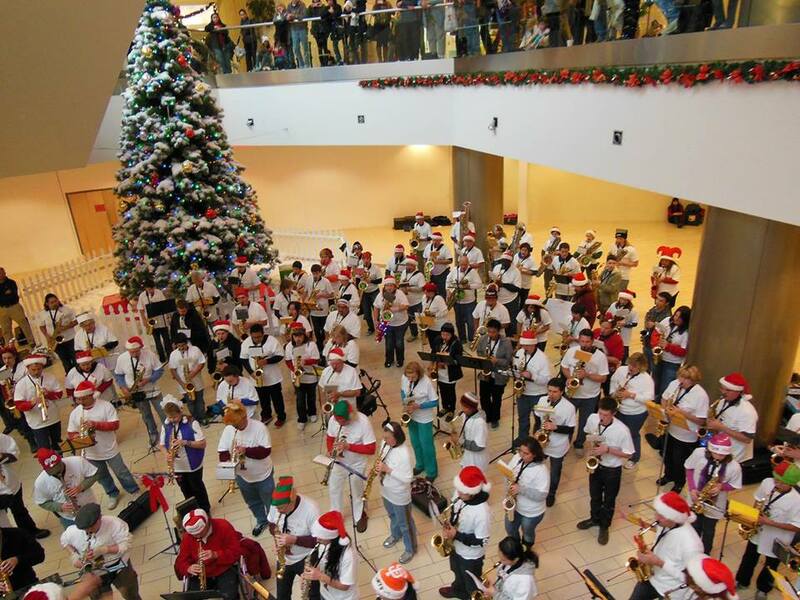 Next, on Saturday, 20 December, it’s time for the 21st Annual San Jose Saxophone Christmas (sjsaxmas.com) with two performances only at 2PM at Christmas in the Park in San Jose and at 5PM at Vallco Shopping Mall in Cupertino. 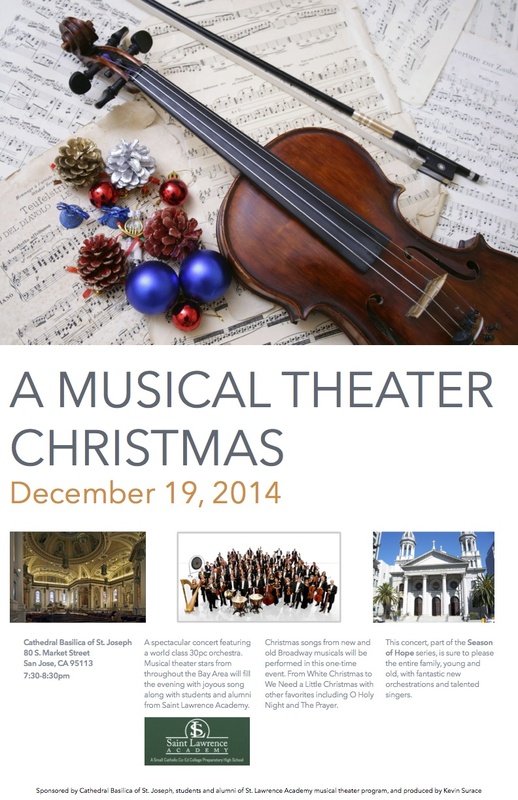 “A Musical Theater Christmas” is a big concert, in a venue built for sound. 21 singers, accompanied by a 28 piece orchestra will perform a program drawn partially from the world of musical theater, partially from the movies, and rounded out with a few traditional holiday favorites. Songs include: Angels We Have Heard on High, Christmas Lullaby, White Christmas, The Prayer, A New Deal for Christmas, Pie Jesu, I Wonder as I Wander, We Need a Little Christmas, O Holy Night, and Have Yourself a Merry Little Christmas. Come on down to the Cathedral Basilica of St. Joseph located at 80 S Market Street in downtown San Jose on Friday, 19 December to enjoy the festivities. San Jose’s Saxophone Christmas started with just a handful of saxophonists two decades ago, and this tradition has really caught on. Now the annual event draws around 200 players from near and far who love the saxophone and holiday music. The entire saxophone family is generally in attendance. Most folks have seen the standard four – soprano, alto, tenor, and baritone – but this event also includes some lesser known saxes such as the soprillo, sopranino, saxello, C Melody, sarrusophone, bass, and contrabass. Founder Ray Bernd writes most of the arrangements, and over two decades, he’s accumulated quite an extensive library of saxophone holiday music now played by saxes (and players) of all sizes and shapes. On 20 December, the first performance of the day is at Christmas in the Park in San Jose at 2PM. The final performance is at Vallco Shopping Mall in Cupertino at 5PM the same day. Come enjoy these two great holiday events the weekend before Christmas and get fully immersed in the holiday spirit. ← Join WVLO for an Oklahoma hello!